If you're visiting Leeds ensure you know the rules and regulation for swimming as they may not be exactly the same as in your residence town. Water sports are increasing specifically in elderly population sectors who have suffered some type of muscle or bone damage. We at present have the following Indoor Pools in Leeds (England) (England), but we are generally grateful for any corrections or contributions. Get in touch via our get in touch with type. Looking for Indoor Pools in Leeds (England) (England)? Many of them belong to gyms or sport centres which also provide lessons. Are you on holiday and wish to preserve fit and healthy? 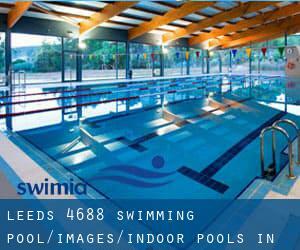 Swimia.com delivers you the very easy and quickest approach to find pool near Leeds. These are the Indoor Pools in Leeds (England) (England) other users have reported. Are you a local and your pool isn't listed? Contact us to ADD IT. It is no cost! Updated on 2019 Willow Terrace Road , University of Leeds , Leeds , England , UNITED KINGDOM (Postal Code: LS 2 9JT). Swimmers like you reported 25 meters x 17.5 meters, 8 lanes, Indoors. Unfortunately we do not have the email address of this Pool, but we can provide you with the phone number. No. 21 The Light , The Headrow , City Centre , Leeds , England , UNITED KINGDOM (Postal Code: LS 1 8TL). This sports centre gives 20 meters x 8 meters, Indoors. Contact information for this Swimming Pool including phone number and email address are number. 186 Otley Road , Headingley , Leeds , England , UNITED KINGDOM (Postal Code: LS16 5PR). Among all the activities offered by the centre, for anyone who is interested in swimming you'll appreciate 25 meters x 10 meters, Indoors. Just in case you want to contact this Swimming Pool just before dropping by, we only know the phone number. Smeaton Approach , Crossgates , Leeds , England , UNITED KINGDOM (Postal Code: LS15 8TA). Among all of the activities offered by the centre, if you're thinking about swimming you can take pleasure in 25 meters x 10 meters, 1 meters - 2 meters depth, 1 meters - 2 meters depth, Indoors. Just in case you want to make contact with this Swimming Pool before dropping by, we only know the phone number. Updated on 2019 Kirkstall Lane , Kirkstall , Leeds , England , UNITED KINGDOM (Postal Code: LS 5 3BE). This sports centre offers 25 meters x 12.5 meters, 6 lanes, 0.8 meters - 1.6 meters depth, 0.8 meters - 1.6 meters depth, Indoors. Contact info for this Swimming Pool such as phone number and email address are number. Cookridge Lane , Cookridge , England , UNITED KINGDOM (Postal Code: LS16 7NL). Among all the activities provided by the centre, if you are thinking about swimming you will take pleasure in 20 meters x 8 meters, Indoors. Just in case you would like to contact this Swimming Pool just before dropping by, we only know the phone number. Updated on 2019 Scott Hall Road , Chapeltown , Leeds , England , UNITED KINGDOM (Postal Code: LS 7 3DT). Among all of the activities offered by the centre, if you're interested in swimming you will appreciate 25 meters x 12.5 meters, 0.9 meters - 1.6 meters depth, 0.9 meters - 1.6 meters depth, Indoors. If you will need to get in touch with this Swimming Pool, e-mail address and phone number are both number. Oakwood Lane , Leeds , England , UNITED KINGDOM (Postal Code: LS 8 3LF). This sports centre offers 25 meters x 12 meters, 7 lanes, Indoors. Contact information for this Swimming Pool including phone number and e-mail address are number. Broad Lane , Bramley , Leeds , England , UNITED KINGDOM (Postal Code: LS13 3DF). This sports centre provides 25 yards, Indoors. Contact knowledge for this Swimming Pool such as phone number and e-mail address are number. Cardigan Fields Development , Kirkstall Road , Leeds , England , UNITED KINGDOM (Postal Code: LS 4 2DJ). Swimmers like you reported 25 meters x 10 meters, Indoors. Unfortunately we do not have the email address of this Swimming Pool, but we can provide you with the phone number. Wakefield Road , Oulton , England , UNITED KINGDOM (Postal Code: LS26 8EL). This sports centre delivers 25 meters, Indoors. Contact information for this Pool such as phone number and email address are number.